Sir Roger Bannister, the first person to run the sub-four minute mile, talks to Rob Bonnet on the same track in Oxford where he broke the record in 1954. Browse content similar to Sir Roger Bannister. Check below for episodes and series from the same categories and more! it's time for Extra Time. man to run a sub four-minute mile. said, I'm going to do it. him to it, and you beat John Landy. in the war. 1953... 1943.
of trying to recognise achievement. ready for May 19 54. Melbourne, Ron Delany came through. We're going to fast already? then I would take over. Iran about four seconds slobber. You bumped into him on the train? Landy had just arrived in Finland. will never go through this again. chance? Will Landy do it first? The Times were called out. was a 1.5 8/2 mile. were on course at that time. or so now from the line. world record and then three. was it. In the immediate aftermath. the nightclub, is that right? won't just thinking about athletics. early part of the race. record and he sent him. Vancouver, why do we go there now? and Landy ran off immediately. I put the first in the. is your philosophy of running? didn't expect to return to. trying to, when you haven't done it. what you are going to be best at. like to give as a message. 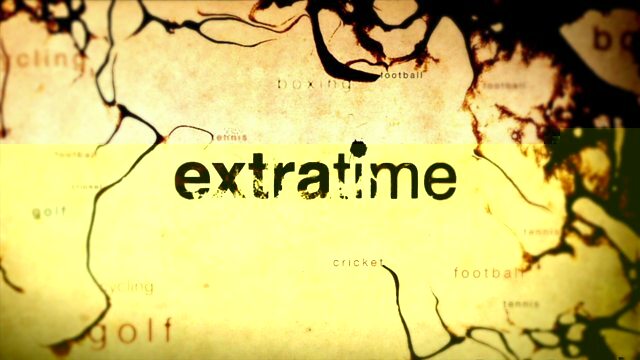 In 2004 Extra Time's Rob Bonnet spoke to the late Sir Roger Bannister on the same track in Oxford where he first broke the sub-four minute mile record. On May the 6th 1954 25-year old Roger Bannister set out to break what had seemed an impenetrable barrier in athletics - to run the mile in less than four minutes. For decades, the prevailing thought in the sports community was that the feat was impossible and, even if it were accomplished, it would so overtax the body that death would result. Bannister proved them wrong crossing the finish line in three minutes 59.4 seconds.